Availability: **USPS International Services are not available for this part. 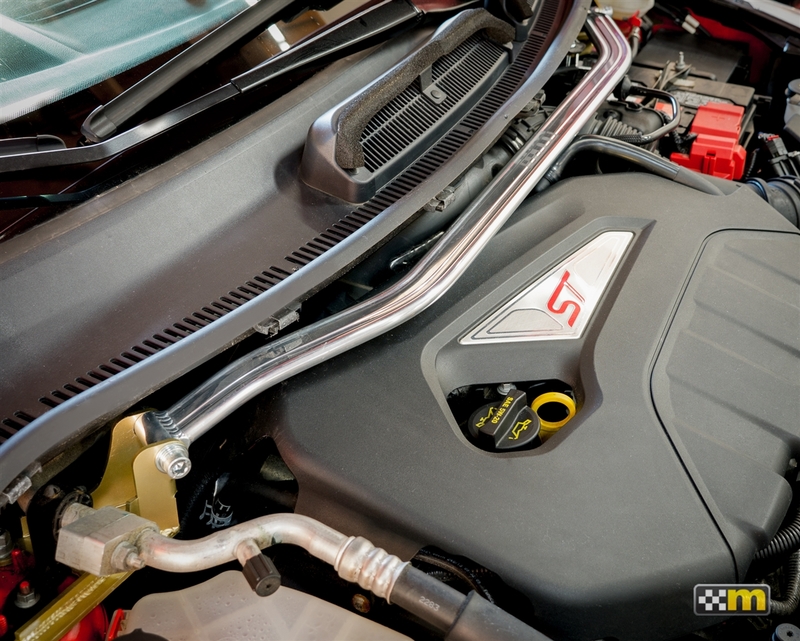 The addition of a front strut tower brace improves rigidity and adds sharpness to the response of your Fiesta ST. 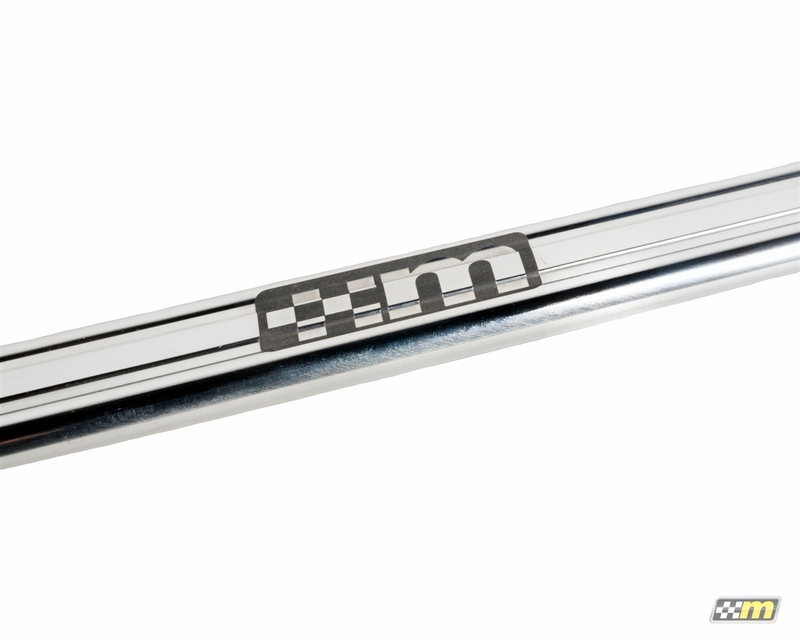 Engineered from 1.5” x .5” (38mm x 12mm) highly polished extruded contoured aluminum tubing with steel end plates for a precise fit and added strength. Installation is straightforward and requires no drilling or other modifications to the vehicle. 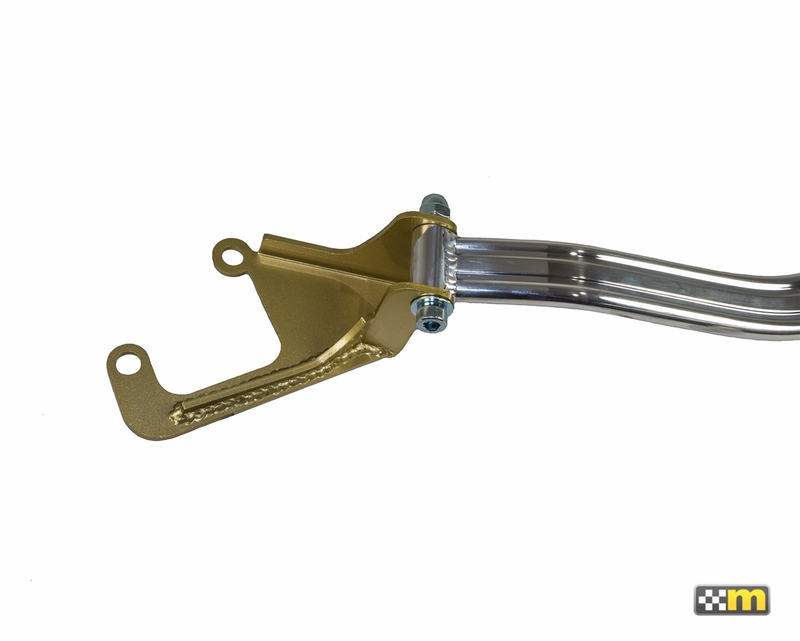 This part is compatible with the original air intake and many aftermarket intakes. We cannot guarantee compatibility with vehicles outside of North America. Very easy installation, very straightforward. I will add that the supplied instructions and pictures could be a bit clearer but, if you've any mechanical aptitude, the installation is beyond easy. I've seen online where people have written that the wiper cowl has to be removed, etc., and that's simply not the case. A 13mm socket, a 13mm combo wrench, a 10mm socket, a 10mm combo wrench and about fifteen minutes will be all that is needed for the installation. An 8mm Allen socket along with a 16mm socket to tighten the actual bar between the mounts and you're good to go. Looks very clean once installed, seems to have crisped-up the front end on the turn-ins. Good job. I was surprised that it reduced the toque pull and stabilize the cornering. a very good product.